In the 1920's, while the Aeropostale pilots were conquering the skies, René Lacoste and his fellow teammates were the undefeated Musketeers of tennis. 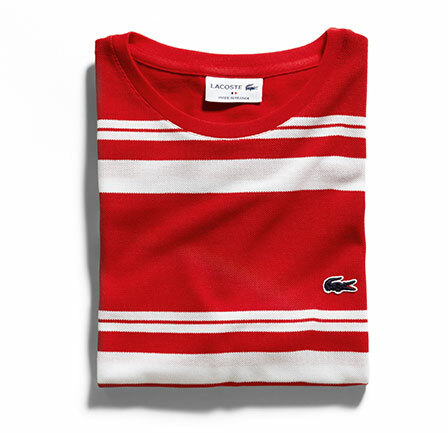 A French hero, Lacoste was also an early herald of Made In France. In 1933, he teamed up with André Gillier, a major hosiery manufacturer. 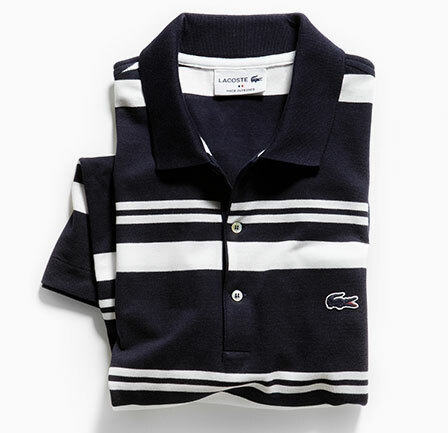 It took them no less than 12 prototypes to eventually come up with the iconic Lacoste polo. 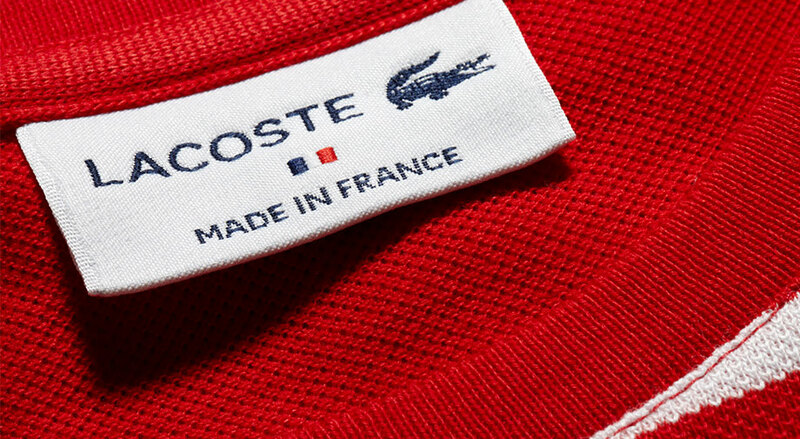 Today, Lacoste revisits this historical heritage through new fabrics and designs. 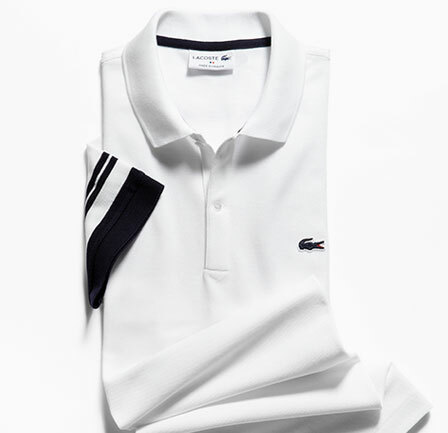 80 years after inventing the cotton piqué, Lacoste introduced the revolutionary noppe piqué. 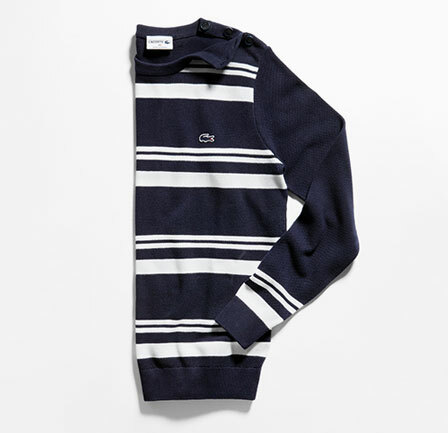 A breathable yet rich and textured knit, to keep you warm without being too tight. Every t-shirt carries a message, adn this one is no exception. 100% cotton, petit piqué in a slim fit - this relaxed t-shirt sends a message of casual elegance. René Lacoste's iconic polo shirt and petit piqué remain a leader - on and off the courts - as will you too in this signature, French flair, slim fit polo shirt. The striped, slim fit polo in petit piqué is both light and resistant. So you can always go the estra mile.